George King Brown was born 4 September, 1842 in Belleville, Hastings Co,, Ontario. He was baptized on 10 March, 1843. Source: Baptism of George Brown, born 4 September last, 1842, son of Geo’ Brown of Rawdon & of Esther his wife was baptized on the 10 day of March 1843 by me. Parents sponsors. John [Griegg] Rector. Page 147 St. Thomas Church. George married to Maude Cecilia Hunt a daughter of Hiriam Howley Hunt and Eliza Caughill. Maude was born 6 September, 1851 in Plympton Twp., Lambton Co., Ontario. George and Maude were married on 31 January, 1870 in Wyoming, Lambton Co., Ontario. Source: Lambton County Marriages, Marriage Registrations for Lambton County, Ontario from 1869 to 1873, compiled by Jeff Stewart and Sherilyn Bell, Vol. 1, 6, 12, 21 and 29, pg. 19.
pg. 19 George BROWN, 26, r. Wyoming, b. Hastings Co. Canada, bachelor, conveyancer, Episcopal, s/o George and Esther BROWN, married Maude Cecilia HUNT, 18, r. Wyoming, b. St. Thomas Canada, spinster, Episcopal, d/o Hiram Howley & Eliza HUNT. Wit. Miss Brown, Oil Springs & Richd. BROWN Plympton 31 Jan 1870, Wyoming, Rev. Wm. Brookman, license. George and Maude’s marriage is what connected my Richard Brown to this family. Richard a brother of George’s who witnessed their marriage. The other fact in the description was George was born in Hastings Co. I knew I had found the link to my family as I was sitting there at the Family History Library in Salt Lake City. In the 1861 Canadian census, George was living with his older brother William H. Brown and wife Isabella in Lambton County, Ontario. He was 19 at this time. I have featured this census in the past post written on this blog about his brother William Henry Brown. In 1871 George and Maud are living in London, Ontario. Source: 1871 Canadian Census, George Brown Family, London, Middlesex Co., Ontario, page 1 and 2, District #10, Sub-District C Ward, 7, Duncan M. Millon, enumerator. page 1, Line 20, 4, 4, Brown, George, M, 28, born Ontario, Ch of E, Irish, Telegraph operator, Married. page 2, Line 1, Brown, Maud, F, F, 19, born Ontario, C of E, irish, married. Brown, Fred Chas’, M, 4/12 Dec, born Ontario, Ch of E.
In 1881 George and Maud are living in Belleville, Hastings West, Ontario. He is a photographer. Line 13, 22, 23: Brown, George, M, 37, all born Ontario, All Ch of E., Irish, Photographer, M.
Brown, Maude, F, 29, English. Brown, Frederick C., M, 10, Irish. Brown, May B., F, 6. Brown, Amelia I, F, 4, Brown, Clarence, H, F, 1. George was stated as living in Florida at the death of his mother Esther in 1895. According to the census for 1910 they made the move in 1885 to the U.S. In the 1910 U.S. Federal Census we find George and Maud living in St. John’s County, Florida. Their daughter May Perry is in the same home as they are. Their son Frederick is also nearby married and with one son probably named Paul but it is difficult to read. Source: 1910 U.S. Federal Censu s, George Brown Family, St. Augustine, St. Johns, Florida, 9th Precinct, SD#2, ED#142, Ward First, Sht#12A, enumerated by George W. Grant, 26 April 1910. Line 1 Abbot Street, 45, 189, 201, Brown Fred, Head, M, W, 39, m2, 7, born Florida, parents Canada Eng, English, Photographer, O A, No, O, yes, yes, R, H. Brown, Cecilia A, wife, F, W, 32, m9, 7, two born, 1 living, born Michigan, parents born Michigan. Brown, Fall H, son, M, W, 3, S, born Florida. Line 34, sec Flr, 211, Brown, George K., Head, M, W, 65, M9, 40, Canada Eng, Irish, parents born Ireland, 1885 NA, English, photographer, O A, yes, yes, R, H. Brown, Maud C., wife, F, W, 57, M9, 40, 8 children born, 6 living, Canada Eng, parents born Canada. George died on 5 March, 1919. His wife Maude died 2 December, 1917 in Florida. Both are buried in the Evergreen Cemetery in St. Augustine, Florida. His birth date is listed as September 25, 1844 which does not appear the same as his birth record above. Find A Grave has a memorial and photo of the tombstone much like the one I have presented below. Here is a funeral announcement for George King Brown: George King Brown aged 75 years, died [Wednesday] night at the residence of his [son] Charles H. Brown in Oriega. The [body] accompanied by his son, was forwarded to St. Augustine, yesterday. The memorial will take place today Moulton and [ ] had charge of arrangements. Florida Times, Union, Thurs, Mar. 6, 1919, p. 4. According to information from a cousin, George and Maude had nine children; however, Maude states in the 1910 U.S. Census that she gave birth to 8 children of which 6 are living. I am only confident with four of the children: Frederick C., May Blanche, Amelia Jane and Clarence H. Brown. I am not sure who the other two are and if I could find them in the 1900 U.S. Census that might solve the problem with the children. Frederick Charles Brown was born 1 December, 1870 in Lambton Co., Ontario. Source: Ontario, Canada Births, 1869-1913 G. & M. Brown Children. Dec 4, 1870, Frederick Charles, M #004206, Father George Brown, Mother Maud Hunt, Agent, Information George Brown, Wyoming, registered ec. 10, 1870. Dr. Mott, Thos. R. K. Scott, Plympton, Lambton. Frederick Charles is in the 1910 U.S. Census presented above with his family. His wife’s name is Cecilia and his son looks like his name is [Fall]. I found a Mr. F.C. Brown living in St. Augustine, St. Johns County, Florida in the 1920 U.S. Census. I think it is him. He is now widowed and what happened to the son is unknown. Source: Mr. F.C. Brown, 1920 U.S. Federal Census, St. Augustine, St. Johns, Florida, Precinct 12, SD#44, ED#165, Sht#1B, Ward 3, enumerated 3 January, 1920. Line 87, 147, 20, 22, Brown, F.C. Mr. Head, O, F, M, Widowed, 49, W, 1885, Na in 1891, yes, yes, born Canada, English, father’s birth unknown, mother born Canada, English, yes, photographer, studio, OA. 2. May Blanche Brown was born 29 January 1875 in Lambton Co., Ontario. In the 1910 U.S. Census we find a May B. Perry with two little girls named Grace and Kerma. There is a Mae B. Perry buried in the Evergreen Cemetery in St. Augustine whose husband was Charles. Find A Grave has a memorial and tombstone photos for both. She died in 1929. Source: Ontario, Canada Births, 1869-1913 G. & M. Brown Children.No. 31, 012806, Amelia Jane Brown, 9 Jul. 1877, Female, Lambton, Parents George Brown and Maude Hunt Brown. Merchant, Wyoming, 17 Sept. 1877, S, G, Beemer, Wm. Smith. 4. Clarence Hunt Brown was born about 1880 in Lambton Co., and died 9 January, 1953 in Florida. He married a Cecil Parsons born 17 June 1882 in Florida and died November 1965 in Florida. They had four children: Myron b. about 1906, George C. born about 1908, Clarence or Clare H. born about 1913, and Robert W. Hugh born about 1926. SOURCE: World War I, Draft Registration Cards, 1917-1918. Clarence Hunt Brown, residing Ortega Duval, Florida, age 38, born Feb 13, 1880, Native Born, photographer, self-employed, place of business 120 W. Bay, Jax, Duval, Florida, Nearest relative Mrs. Cecil L. Brown, Ortega, Duvall, Florida, signed by Clarence Hunt Brown, tall, slender, eyes brown, hair brown, no marks, signed by Paul O. Marion 9/12/1918. Clarence is in the 1920 U.S. Federal Census living in Ortega, Duval, Florida. Source: Clarence H. Brown Family, 1920 U.S. Federal Census, Ortega, Duval, Florida, Twp. 3 S. Range 26 E., Precinct 26, 30 & 31 January 1920, Martin G. Schench, SD 4, ED 79, Sht# 23. Line 81, 31 462, 479, Brown, Clarence, H, Head, R, M, W, 39, M., yes, yes, Canada, parents born Georgia, yes, Photographer, General O.A. Brown, Cecil, Wife, F, W, 35, M, yes, yes, Georgia, parents born Georgia, yes, Photographer, General, OA. Brown, Myron H., son, M, W, 14, S, yes, yes, yes, Georgia, Canada. Brown, George C., son, M, W, 12, S, yes, yes, yes, Georgia, Canada. Brown, Clare H, son, M, W, 7 S, yes, yes, Georgia, Canada. Parson, Ella, Aunt, F, W, 52, S, yes, England, English, Georgia. Clarence and Cecil have migrated to Jacksonville, Duval, Florida in the 1930 census. Source: Clarence H. Brown Family, 1930 U.S. Federal Census, Jacksonville, Duval Co., Florida, Ward 15-C, ED 16-56, SD 8, Shet #10-B, April 14, 1930 Mrs. Juanita Downing. Line 72, 2000, 250, 263, Brown, Clarence H, Head, R, 75, [ ], M, W, 50, M, 24, yes, yes, Florida, parents Canada English,79, 43, 0, yes, photographer, [Kodak Finishing ] 5094, 0, yes, no. Brown, Cecil L. Wife H. F, W, 47, M, 22, yes, yes, born in Georgia, parents born in Georgia, 78, yes, none. Brown, George C., son M, W, 22, S, no, yes, born in Georgia, 78, Kodak Finishing 7×94 W yes. Brown, Clarence H. son, M, w, 18, S, no, yes, born Florida, 79. Brown, Robert Hugh, son, M, W, 4 3/12 S, no, born, Florida. Parsons, Margareth L., Aunt, F, W, 55, S, no, yes, born Georgia, Father England, mother South Carolina, 78, 00, 1. Clarence H. and Cecil Brown are buried in the Evergreen Cemetery in St. Augustine, St. Johns, Florida.  Find A Grave has memorials and pictures of the tombstone. 5. Myrtle Brown born 15 February 1885 in Lambton Co., Ontario, died about 1970 in Fort Lauderdale, Broward Co., Florida. She may have married a Fred Millikan. I have not been able to find George King and Maud Brown in the 1900 U.S. Census. This family has not been very cooperative and I encourage you to double-check the above. Other sources need to be consulted to verify the family above such as obituaries, burial locations, marriages, deaths and more. This entry was posted in Amelia Jane Brown, Clarence Hunt Brown & Cecil Parsons, Duvall County, Evergreen Cemetery Saint Augustine Florida, Florida, Frederick Charles Brown, George King Brown and Maude Cecilia Hunt, Hastings Co., Lambton Co., May Blanche Brown and Charles Perry, Middlesex Co., Myrtle Brown and Fred Millikan, Ontario, Parsons Surname, St. Augustine, St. Johns County and tagged Florida Genealogy, Florida Photographers, Migration from Canada to Florida on November 20, 2015 by BJ MacDonald.